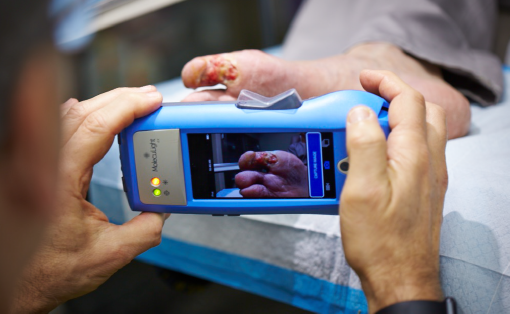 (ii) View and digitally record images of fluorescence emitted from a wound when exposed to an excitation light. The MolecuLight i:X is for prescription use only. Blumenthal E, Jeffery SLA. 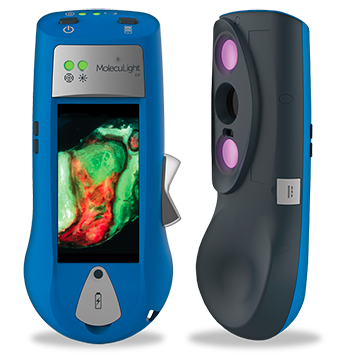 Autofluorescence imaging for evaluating debridement in military and trauma wounds. Military Medicine, 2018, 183(3/4), 429-432. doi: 10.1093/milmed/usx145.